No matter where you shoot up, you want the surface to be as clean as possible to avoid bacteria and blood borne viruses. Think of something you can use to cover the surface you are using to prepare your hit. It could be the paper bag your fits came in from the NSP; a plastic carry bag turned inside out; a magazine or newspaper you have with you; or toilet paper or hand towels if you’re in a loo. You can even mix up in your equipment carry case if you have one. If you don’t have a suitable cover, then use plenty of swabs to clean the surface you are going to mix up on. Wipe the surface in stripes from one side to the other to make sure you have cleaned the entire area. If you have bleach or Fincol you can use these to clean the surface. If you’re in a toilet there may be a risk of contracting hepatitis A or a bacterial infection. It’s a good idea to always wash your hands and/or use swabs on your fingers before preparing and injecting your shot. Using in a public space means you have less control over your hit and more chance of having a “dirty”. You can’t easily leave your set up to get more equipment which may increase the temptation to re-use or share if you’re missing something. Being prepared means being safer. You need to have enough new, sterile equipment, including lots of swabs and a spare fit in case you drop one. It can be useful to fill a portable case made out of thick plastic or metal with a ready supply of sterile equipment including a spoon, water, filters and swabs. Another option is a carry case with a Fitpak or small sharps bin for disposals; check with your local NSP or Pharmacy and see if they stock them. Take the time to check your stock, dispose of used equipment safely and re-stock it with new, sterile equipment whenever you are at an NSP and you will never be “caught short”. You can reduce your risks by picking an area where you are less likely to be interrupted. Being stressed and rushing can have bad results including mistakes and trouble finding a vein. Toilet cubicles are good because they can be locked, but you need to be careful if they are busy and someone may notice if you’re in there too long. If you are worried about being interrupted, make your “tablecloth” something like a magazine or newspaper and position your equipment on one half of it so you can cover it up with the other half, by simply turning the page. If you have a carry case, you can close the lid or even pick up your mix and move it if necessary. You need to take extra precautions if you’re using with other people. Using with others increases the risks of transmitting blood borne viruses like hep C, hep B and HIV. The safest strategy is for each person to mark out their own area – you can use a towel or plate. Lay out your equipment out and keep track of it. Make sure everyone has a full kit of sterile equipment including fits, spoon, water, swabs, cotton and tourniquet if you use one. If someone else is mixing up your shot, check and make sure they are using a sterile fit. Pick up extra supplies from your NSP, pharmacy or machine if you’ll be using with other people. In most NSPs you can take as much equipment as you think you’ll need and pharmacies in NSW are currently giving out two Fitpaks instead of one if you want them. Hygiene after your shot is just as important. So you don’t pass on a blood borne virus, remove everything that has blood on it and clear up any blood spots or marks on surfaces and the floor. Remember, you don’t have to see blood for it to be there. Swabs don’t kill hepatitis or HIV, but they will clean the surface. Tidying up is also about protecting the reputation of all people who use drugs. We need to beat the stereotype that we are dirty and that we don’t care about our health or other people. Best practice is to take everything away, so no-one even knows we have been there. Put sharps in a box or scabbard. Take all your used equipment or any bits of rubbish associated with it. If you are in a toilet, you can flush away cotton wool or toilet paper with blood on it, as well as your swabs and cotton filters - but nothing else. Rubbish other than fits (swab packets, water containers etc.) can go into a regular bin, though in the interests of “invisibility” it is best to not put anything in the paper towel bin or women’s hygiene bin. Carrying used fits is not illegal but can be used as evidence of self administration if you admit to having used the equipment to use illegal drugs. Some areas of NSW are heavily policed and people who use drugs get stopped and searched so the risk of carrying equipment is too high. However, leaving used fits on the ground or in a regular rubbish bin is unsafe and feeds discrimination against people who inject drugs. So what to do? We advise that if you’re in a hurry or being hassled, at least put your fits back into a Fitpak or scabbard. This makes the fits safer as they are locked in, and people don’t react emotionally to seeing a black plastic box in public as they do to loose fits. You can then take your fits to a disposal bin or stash them and let someone know where they are. To find out your nearest disposal bin, you can use Safesharps, a website and phone app, or ask the NSP staff next time you pick up sterile equipment. Anywhere you get sterile equipment will accept returns, including NSPs, other “Drug and Alcohol” services and chemists in the Fitpak scheme. Chemists require fits to be in a regulation Fitpak or bin and will exchange used for new for free. You can find a participating chemist at www.findaphamacy.com.au. Most public toilets will have at least one cubicle with a sharps bin. Some community centres and libraries also have bins. Every public hospital will take sharps; they usually have a large public disposal bin near Accident and Emergency. If you can’t take your equipment with you and/or hang on to it long enough to get it to a bin, you have a couple of options. Some NSPs do local “sweeps” where they go around nearby streets and parks, so you can tell them if you have had to leave used fits close to their service. You can also call the NSW Needle Clean Up Hotline on 1800 633 353. They are happy to retrieve equipment you have had to stash in a public location and will treat you respectfully. You don’t have to give your name or any details about yourself. You can also call them to pick up fits from home or to let them know if a public bin you use isn’t being emptied. 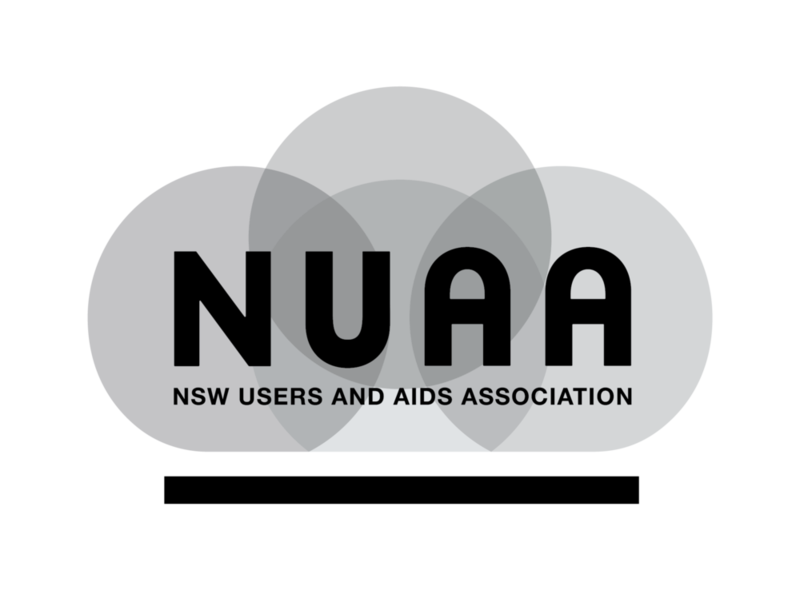 If you live in south-west Sydney, you can call NUAA’s outreach service to pick up your fits from your home or other agreed location (call 0487 387 442).